Hardly anybody who are interested in cryptocurrency, recently haven’t heard about IEO. The abbreviation meaning Initial Exchange Offering implicates prosecution of project tokensale on a crypto exchange. If explain easier — this is an ICO, in which one or another exchange acts as a guarantor and venue. The last tokensales carried out in this way declared themselves loudly and were beneficial to all three participants in the process: projects, investors, and of course, exchanges themselves. For projects — at the moment, it is almost a guaranteed way to raise the necessary investments for the project, while not embarking on long marketing campaigns and road shows. For traders it is the opportunity to have time for purchase tokens and either profitable to resell later, or strategically HODL. For exchanges — is a way to attract new traders, create boom around, an additional source of income and sales of their own exchange tokens (in the absolute majority of cases, to invest in a particular project, you need to purchase and then pay the exchange token). Despite the fact that the first notable IEO cases appeared in 2017 (the GIFTO and Bread projects that carried out their IEO on the Binance platform), this method of attracting investment received serious attention in early 2019. And of course the key role was played by the largest at this moment Binance exchange, which has a special platform for holding tokensales — Binance Launchpad. Just at that spot in January 2019 the BitTorrent project IEO passed, which collected about $7.2 million in less than 15 minutes. IEO project Fetch.AI turned out to be no less resonant and successful — they collected about $6 million in just 22 seconds on the same trading venue in February. At the next tokensale of Celer project, the largest exchange could not avoid technical problems due to the amount of those who wished to participate in it. Nevertheless, this did not hurt the successful completion of sale with the purchase of all available tokens in just a few minutes. At the same time, the excitement among investors and traders is understandable — after the token is publicly traded, a huge number of those who did not manage to buy them during IEO begin to buy them on the secondary market, which often sends the token to the long forgotten “to the moon”. One of the latest examples is the TOP token, which at the time of listing on the Huobi exchange after IEO (on Houbi Prime platform) reached profit of about 250% of the price during the first sale round (which ended, by the way, in 7 seconds). 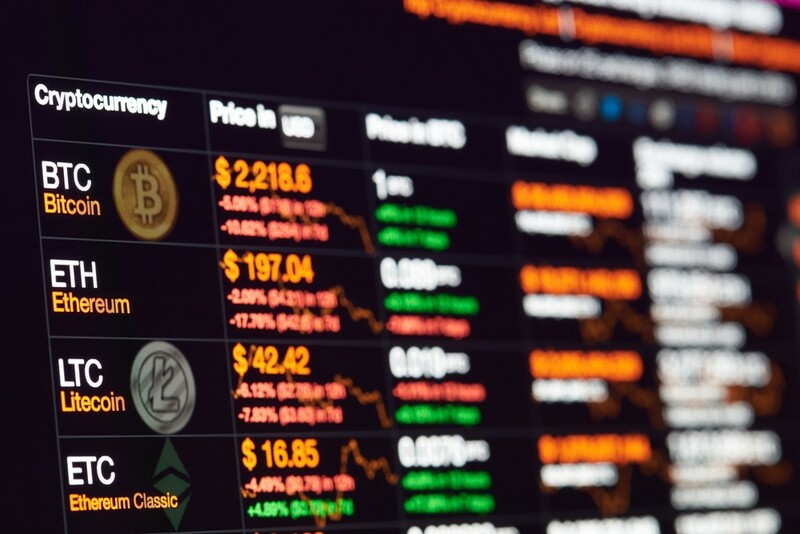 And of course, looking at the success of Binance Launchpad and feeling the market trends, other cryptocurrency exchanges began announcing the launch of their own platforms for IEO. Among them the KuCoin Spotlight, Huobi Prime, Bittrex IEO, OKEX Jumpstart and many others, related to both large and small exchanges. A more detailed list is provided below. This means that this method will be available to more projects. Let’s move from theory to practice. What does a project need to get to one of the platforms and handle an IEO of its project? The project preparation structure for entering IEO is largely overlap to ICO preparation. And also the general tendencies of successful projects are clearly visible. This is what a project should have in the arsenal prior to attracting any investments. We will describe all this below in the White Paper section. With this clause, everything is as clear as possible. In the crypto industry now days, almost no one believes in bare ideas and concepts. A project needs at least an MVP, which speaks for itself better than any words in a White Paper. It is a far cry from the days when projects aimed to raise tens of millions of dollars, herein in overwhelming majority of cases, are absolutely unreasonable. Now the average hard cap of projects that go to IEO rarely exceeds $5 million. And with the increase in the number of projects willing to raise investment in this way, this figure will decrease. Any figures (both soft cap and hard cap) need a very clear and understandable rationale. In addition, we mustn’t forget that tokens are often sold in combined rounds, and only a certain part is allocated for IEO, the remaining parts will be sold in private and public rounds, which must be calculated and reflected in the tokenomics of the project. Usually, most of the White Paper, at least in the primary form, is written by the team and the founders of the project. And rightly so — no one knows your project better than you. But it is a big mistake do not to show or correct them with market professionals after writing this document and other materials. Often it also applies to the technical part, but first of all we are talking about tokenomics, calculations and their justifications, general structure, project disclosure, positioning, and so on. Any exchange will lead serious due diligence of the project — it risks its reputation by issuing the project to itself on IEO, so there is no second chance. Your materials (including White Paper, Pitch Deck, One Pager, the web-site and everything that will be shown to the public) should be polished, understandable and as investment attractive as possible. With my current clients who are planning to launch an IEO, we first craft White Paper and other basic materials. It is necessary to create a model in which the demand for tokens will not be completely satisfied with the sale even of all tokens. This is the key strategy of any tokensale. Further, this will come in handy for all — the excitement around the project will not subside after entering the exchange, but, on the contrary, will give birth to a new wave, which will force all those who did not have time to buy tokens to do it. Many exchanges ask for legal opinion, which includes the conclusion that the token of the project is a utility. In addition, each exchange may have its own specific requirements for legal opinion, and you will have to go through the procedure again — but with the recommended/trusted legal company of the exchange. At this stage, you can already apply for an IEO on the platform of any exchange. Next, we denote the list of exchanges and links where you can apply for a project review. But there is also an important aspect that we will consider after this list: an additional marketing campaign. It’s difficult to talk about general and standard conditions that exchanges put forward for projects with a positive decision about IEO. In face-to-face setting with the listing teams of various exchanges, it is mentioned each time that conditions may greatly vary and depend on the project details. In some cases, this may be interest (percent of sold tokens) in tokens, in others — listing fee + interest in tokens. As in the situation with the standard listing on the exchange, many of them can be approached through their partners and agencies working with a particular exchange. This does not guarantee placement on IEO, but as a minimum it will help to get feedback from representatives of the exchange, which will not be long in coming for months (or remain unanswered). Nevertheless, choose your partners very carefully. Here you can find the list of exchanges that support and run IEOs + the link to their application forms. Please pay attention that exchanges that support IEO and announce the launch of their own launchpad become more almost every week. The list will be updated. Despite the fact that during a face-to-face contact, for example, KuCoin representatives said that for them preliminary marketing of projects is not the most important thing in selecting IEO for their launchpad, nevertheless, our experience with the exchanges suggests that under increased competition, the stronger the project is prepared, the better and the more likely it is to agree on sales with a strong exchange. It is better to start social networks in advance — step by step, revealing the essence of the project, the active involvement of the team, the development of technical solutions and product. Among other things, it is necessary to create involvement of existing subscribers, communicate with them and promptly answer questions. The minimum SMM package includes: Facebook page, Twitter, LinkedIn, Telegram chat, Medium. At this stage, it is important in publications to tell about the prospects and advantages of the project — how your solution and breakthrough technology will help the market and users, the background of the founders, innovations in your solution. So that, firstly, by the time the IEO application is submitted to the exchange, its representatives will see an increasing sensation around your project, and secondly, by the time of the announcement of IEO, there are publications about you and the community is formed around your project. It is recommended to make publications in prominent and solid media about technologies related both to the potential market of the project and to the general technical/crypto topic, where the project can generate interest and find its followers. By that, we mean attracting users from thematic platforms. Hype generating around the project on different forums, Telegram chats, Reddit threads, Medium blogs, Bitcointalk threads and so on. Many will be surprised, but during properly work with these platforms, they give very good results in terms of the growth of user base for the project. And this will be a good foundation for further work on the future promotion of IEO. 1–2 months will be spent for such campaign to receive the first tangible results. Plus, don’t forget about auditing and working on the foundation — White Paper and tokenomics. In future, when listing from the exchange is confirmed, the marketing machine will work in many aspects itself — the hype from IEO will attract a huge number of interested investors. IEO is actively developing. A huge number of exchanges are preparing their decisions and rely on this method of attracting investment for projects. IEO has its advantages and disadvantages. Like any phenomenon that shows super-results at the beginning, IEO will also have a recession sooner or later. Nevertheless, the exchanges that will build relationships with their users on trust and openness will actively and successfully use this method. And, we will follow the situation. If you have any questions or want to consult on IEO — feel free to get in touch with me and my team — X10 Agency, which has proven itself on the STO and ICO market as one of the strongest players. We will help you any time. At this time, IEO has all chances of becoming one of the standards for fundraising for the crypto industry. 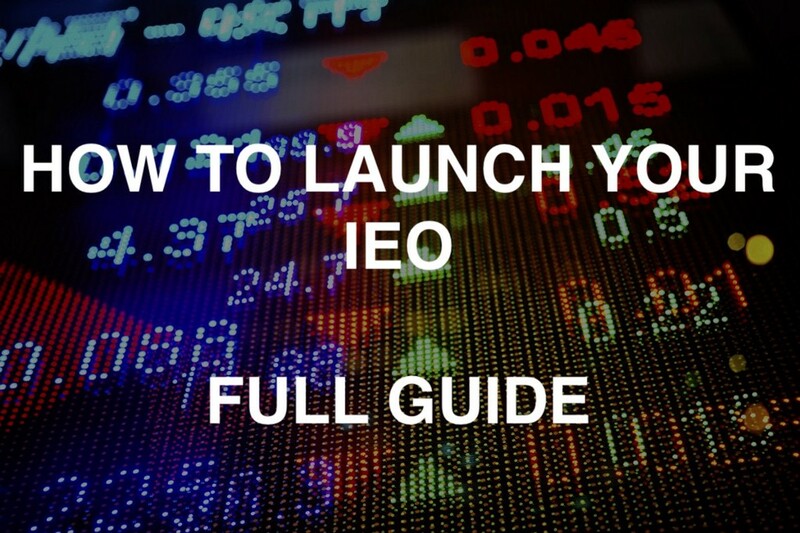 How To Launch Your IEO: Guide For Projects + List of Exchanges was originally published in Hacker Noon on Medium, where people are continuing the conversation by highlighting and responding to this story.